Really? A Baby Crying Festival? Oddity Central, if you haven’t guessed from reading my previous posts, is by far one of my favorite websites. It’s full of really weird stuff that happens all around the globe and, more often than not, contains news stories you wouldn’t find in any regular newspaper. This next post really takes the cake. We all know different cultures have very different ways of expressing their individuality and in most cases, we need to be tolerant and respectful of those cultures. 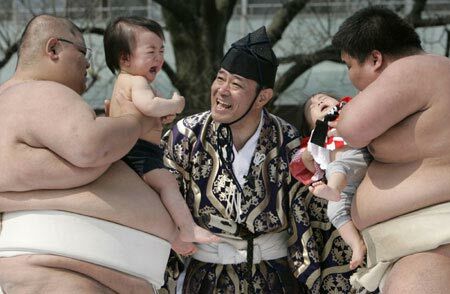 In Japan, a very special festival is held each year called Naki Sumo (or Baby Crying Festival) and, well…it’s exactly what you might think it to be. Huge mean and scary sumo wrestlers get to hold each of these babies and get them to cry doing whatever they can to get the job done. Whichever baby cries the most is the winner. But that means that the sumo wrestlers have to work extra hard and really have their game faces on. Heh. According to the website, 80 babies under one year old were entered into the festival this year. The Japanese believe that this ritual will cleanse their children of evil spirits and protect them. It’s actually a 400 year old tradition. To view more pictures from the event, click here. You can view videos of this ancient practice on Google videos. It’s always interesting to see what kinds of new fashions will pop up when it’s time to send the kids to prom. Most times, high schoolers will do anything they can to outdo each other. Girls who have the best dresses, and sometimes the skimpiest, are the envy of all their friends. 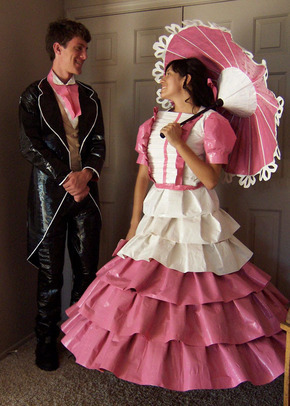 One of the finalists from a duct tape prom outfit contest. But what about dresses that are made out of gum wrappers or duct tape? A craze has seemingly swept a certain portion of our teenagers. After checking out pictures from Oddity Central, I was amazed at what some of these kids could do with only duct tape and a little imagination. In the case of those pictures, the prom fashionistas were awarded money for their time and effort. But what an amazing job! Not only did they inspire each other, but they also got creative juices flowing for Iowa teenager Elizabeth Ramouson. After viewing pictures of the duct tape dresses, she made a dress out of gum wrappers. Ramouson says she started collecting the gum wrappers about a year ago. Her boyfriend, who also dons a matching vest made out of the same colored gum wrappers, says she would buy a ton of gum, hand it out to her friends, and then collect the wrappers from them later. Her mother is so proud. Either way you look at it, these young kids certainly had their work cut out for them. It must have taken hours of painstaking work — not to mention working with all that duct tape or gum wrappers! 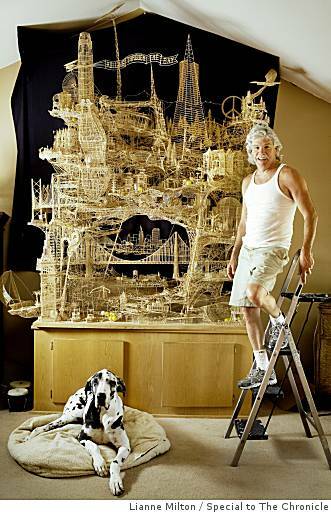 This just proves that a little creativity can go a long way. Would You Eat Robot Food? No, not food a robot might eat. I mean food that’s been cooked by an actual robot. Would you eat it? Technology has taken us to far and wide places. We have come up with some amazing machines that have done wonders for our society. But when robots become involved, it’s hard not to think about futuristic movies you may have seen where robots take over the human species. 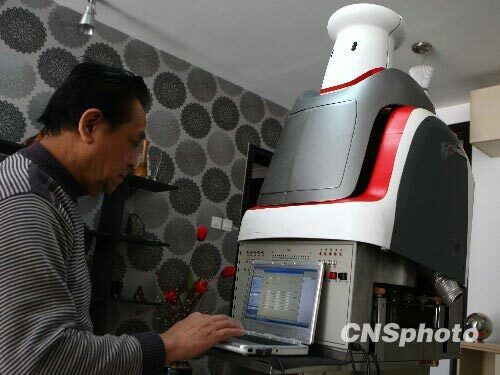 Chinese engineer Liu Changfa has just created a robot that will cook you dinner. When you get home from work and you’re too tired to start stir-frying or baking in the oven, this machine will do the work for you. According to Oddity Central, the robot takes orders via a laptop and cellphone, which let diners choose preset menus or program it to cook certain dishes. All the seasonings you would ever need are kept in the robot’s chest, and it can access those herbs and spices anytime you decide you need them added to a certain dish. The majority of the cooking is done in its belly, where there is a pressure cooker installed. The diner needs only to add raw ingredients and program the robot to cook what he wants to eat. Changfa says a few chinese restaurants will be trying out the robot in their kitchens and even serving some of the dishes. He hopes that the idea will catch on and more places will soon be using the machine. Good idea, but I think I’ll keep making my own food for now. When life hands you lemons, you don’t make lemonade. You have a lemon festival and make tons of giant sculptures out of them instead! The town of Menton, in France, has started a yearly tradition that has sparked the interest of art lovers and curious people alike. It is said that over 200,000 people attend each year. 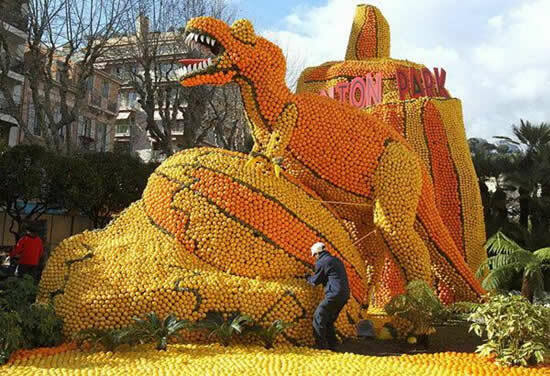 This year, the Menton Lemon Festival started on February 12 and it will finish up on March 3. The theme of the citrus festival is ‘Menton Does Cinema’ so naturally, all the lemon (and orange) sculptures relate back to film in some way. From the pictures on Oddity Central, it seems a lot of work has gone into this. According to the site, chefs from all over the area are huge fans of the lemons because of their sweetness and flavor. I think I’d be more inclined to be a fan of the people who assemble all the lemons into one sculpture! The result is fantastic and this certainly is a new spin on the favorite fruit. Why can’t we do something cool like this in the US? 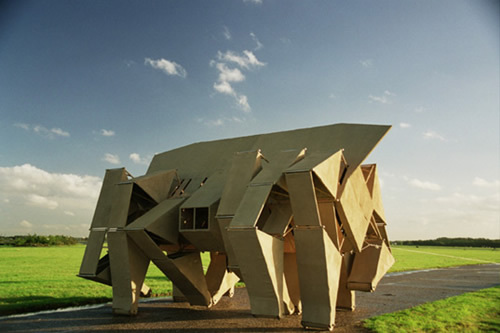 I’d rather make sculptures than lemonade anyway. Or perhaps we could make lemonade after the sculptures have ripened a bit, eh? Bread…you eat it. A toaster…you toast the bread you’re about to eat in it. Mix those two things together and you get a certified religious work of art. Yeah, really. You read that right. 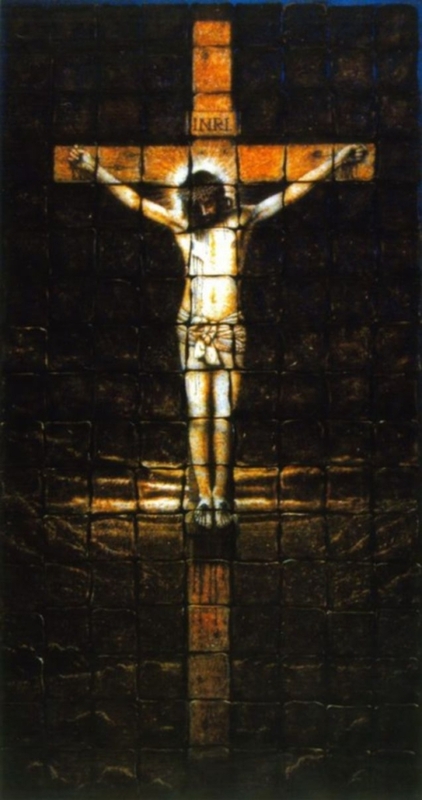 Apparently, a british artist named Adam Sheldon has single handedly toasted individual pieces of bread so that they fit together to form a picture of a crucified Jesus Christ. (Somebody’s got too much time on their hands.) The picture is 1.8 meters long and 1.1 meters wide, making this a pretty large work of art…or food…or whatever. The churchgoers at the parish were shocked when they first saw the creation, but then grew to love it. The toast art is on display until the end of this month in the Anglican Chuch of Saint Peter. After that, I wonder what they’ll do with all that stale bread. And why did he do this? Because mommy dearest asked nicely. Oh, the things we do for the people we love.